This bunker is a type of time capsule from the Cold War whose like you will rarely see anymore, it is a weird War-Art Museum without a ticket box. In 2016, I rode out with a friend on our Harleys to the ex-Yugoslavian war fields. After a long ride from Holland, we cruised over the most peaceful and scenic coastal roads along the Mediterranean, from Trieste in Italy all the way south-east into Slovenia, Croatia, Bosnia, and Montenegro. Our final destination was planned to be Albania, for a good reason. I knew there was a secret Bunker Complex and Air Force Base left from the Cold War, named Gjader. It was built by the dictator Hoxha, a self-styled Marxist who ran the country from 1944-1985. With a fanatical admiration for Stalin, he got paranoid and feared for attack not from NATO but Yugoslavia, as Tito broke with Stalin. Hoxha started building this huge underground complex plus thousands of bunkers which was to be protected by a huge fleet of Migs, trucks, and weapons, all surplus “Russian-designed rubbish,” partly built by the Chinese. 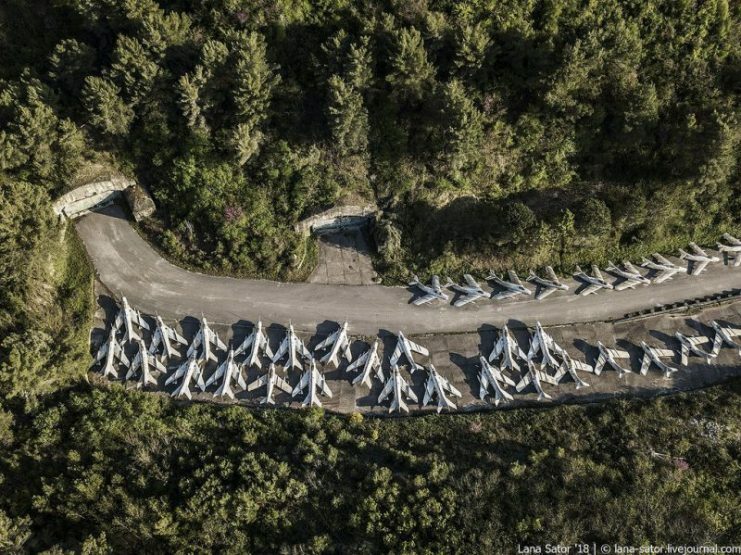 Amazingly, in 1994, as the Yugo Wars raged, the CIA used this base for its intelligence collection operations over Bosnia against the Serbian Army. 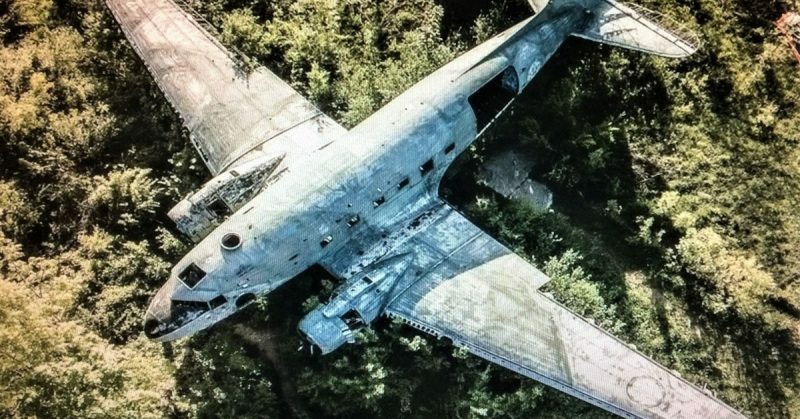 A USAF C-139 Hercules flew the UAV Predators in with a 70 men crew, well hidden in a five-storey bunker complex until 1996. Would you agree that this is an interesting place to visit? That was the hidden treasure, I felt like Ali Baba in Albania! Well, for me, it surely was worth a long ride to a very isolated country, be it that the story took a different twist. For the continuing story, check the next photos for more details to come. The Yugo Wars leftovers. 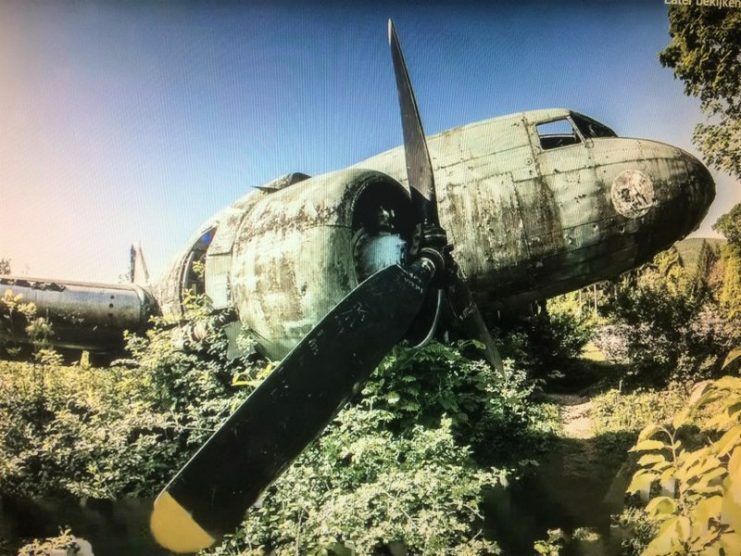 Here you see hidden in the bush a C-47, at Željava Airforce Base, Croatia. Or is it a Li-2? That is the Russian Lusinov License-built version, but it has an extra window right behind the side cockpit windows and had the single cylinder row Radial engine, so the picture is a Douglas C-47. As we were about to arrive on our Harleys in Albania, close to the Montenegro border, we had already encountered a hairy situation with a police officer. The dude had hidden in the bush along the road while I approached him with my Harley roaring. I admit I rode a bit fast, some 60-70 mph I guess. In any case, too fast for what happened next. He wore a sort of camouflage outfit and out of the blue, 20 feet in front of my front wheel, he jumped out with both hands in the air as a stop sign. Like a cat in panic, he stood there in the middle of the road, staring at me and no doubt wondering how I would manage (not) to avoid him. Fortunately, he realized this was a tricky kamikaze move he had made, so he decided in a split second to frog jump back into the bush where he had hidden. It surely saved my day and his life, and next? Well, he was out of the way so I just rode on, no BS story, praying that he would not alarm the Border Post we were heading for about this self-inflicted assault. 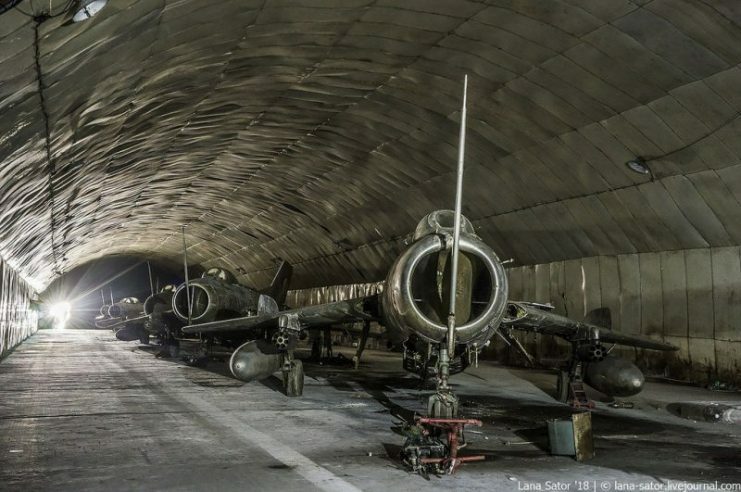 The Albanian Gjader Bunker is full of Chinese Migs in endless tunnels, well protected against that evil neighbor Yugoslavia’s President Tito who broke with the USSR. He never came and was probably never interested, while Albania turned itself into total isolation, the Republic of Darkness. After Stalin’s death, Hoxha turned to Mao and became the only Maoist-ruled state in Europe. But when he also died, Albania’s options for more communist madness were depleted, No more Big Brother, and Hoaxhaism became the last rule. What a relief that was for the dictator, but not for the population. As we finally arrived in Albania, the contrast with the rest of the ex-Yugo republics could not be stronger. Where Slovenia, Croatia, etc. had embraced international tourism and were busy constructing modern infrastructure with highways and marinas all along the magnificent coastline, Albania was dissonant with a very poor road system. Worse, complete traffic chaos where not only cars, trucks, and buses claimed their place on the public road but also the goats, the cows, and the sheep took their share. Not one participant seemed to care for the basic traffic rule: Keep Right. Instead, they Kept (doing it) Wrong! If a taxi driver needs a client, he suddenly turns to the left side of the road and blocks all incoming traffic. The ensuing horn concert is not really a good argument to move him out of the way. To make things worse in this scene, a huge flock of sheep is crossing and blocks the road for a massive toilet stop. No one cares for a piece of s**t out there. 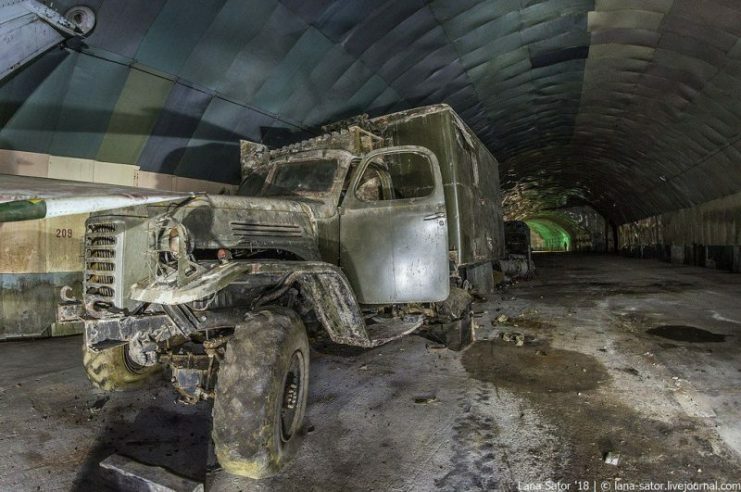 An old Russian or Chinese truck inside the Gjader Tunnel complex. It is amazing that this Air Force base was stormed by the revolt of local people in 1997. They managed to destroy the control tower but left the transports, guns, and jets intact. The complex was left behind in a sorry state but with no public access until very recently. As we arrived in Albania’s northern city Shkoder, for an overnight stay, we found a very dualistic but peaceful situation. We saw a huge Mosque in the main street and on the other side of the same road a huge Catholic Cathedral. It was as if they were competing shopping malls with lots of signs and music. The hotel director insisted that we park our Harleys inside the gated hotel-area, as those bikes were much-wanted stuff in what seemed a near Third-World Country. The madness of Albanian Paranoia in all its aluminum glory. 1) The Shenyang J-5 (NATO reporting name Fresco) is a Chinese-built single-seat jet interceptor and fighter, derived from the Soviet Mikoyan-Gurevich MiG-17. 2) Shenyang J-6, which is the Chinese-built version of the Soviet MiG-19 ‘Farmer’ fighter. 3) Chengdu J-7 export version F-7; NATO name: Fishcan is a China license-built version of the Soviet Mikoyan-Gurevich MiG-21. In the hotel, I spoke with the Director. He knew about the Gjader Air Force base, but he was sure that access for me would be impossible. In 2016, it seems I came too early as later I heard that the underground Bunkers recently offered limited access for the public. True or not, if you have more recent information about access to the Bunkers (not the runways, they are semi-open roads by now), please let us know. We would love to go back there one day. For more Vintage Aviation stories and awesome photos, read my Books & Blogs.